The Windy City of Chicago will be the home of the 2018 Label Expo Americas Event, from September 25-27 at the Donald E. Stephens Convention Center. LabelExpo Americas is the largest event for the label and package printing industry in the Americas. Whether you’re choosing machinery or materials, it is vital you feel confident about your decisions. The best way to do this is to see all the options together in one place. Come to Labelexpo Americas 2018 and hear the noise of the machinery in operation, feel the texture of the substrates and see the print quality for yourself. MoistTech Corp. will have live demonstrations throughout the show featured in BOOTH 456 – we encourage you to stop by and see our technology in action. What’s worse than a wasted effort? Economical losses and decreased productivity. See how MoistTech can help you eliminate waste and energy and increase profits and productivity on your manufacturing line. In the paper / converting process there are many locations throughout manufacturing that the paper moisture sensor can be used. The location is often determined by the space availability and accessibility on the web / converting machinery as well as manufactures moisture control plan. Once installed, a manufacturer can continuously monitor the process and can control the moisture content, either manually or automatically. Having the precise moisture levels of paper products in converting operations, newsprint, tissue and corrugated liner pulp has become a critical component during production. Paper can easily become either too wet or too dry wasting manufacturers time or money. 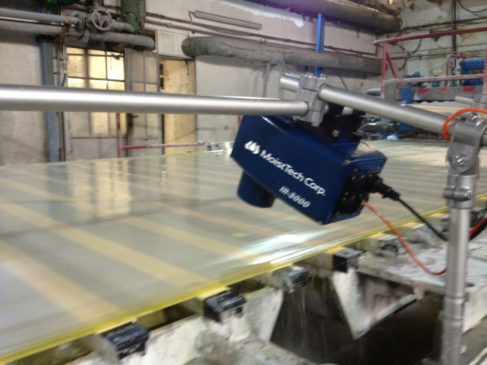 With the help of industry partners and 40 years of knowledge, MoistTech has developed the IR 3000 moisture sensor which is ideally suited to measure the moisture levels as well as water and solvent based coatings and coat weight thicknesses during the paper/converting process, improving manufactures product quality and increased productivity within substantial cost savings.